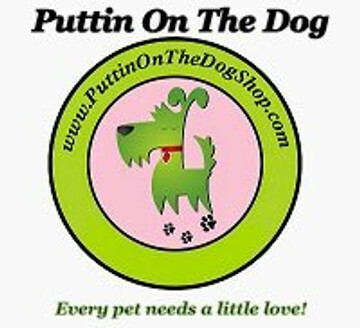 Puttin On The Dog is an online pet boutique that offers upscale products for the refined canine. Taking pride in "Customer Satisfaction" is our main goal for both pet and owner. For those who feel their pet deserves only the best, Puttin On The Dog is the one and only pet boutique for all your pets needs. All of our designer pet apparel, collars, leashes, jeweled pet necklaces, accessories, and more are of the best quality and workmanship available. Our company constantly searches for new, different, and unique merchandise to purchase for our customers. If there is an item that you do not see on our website, we will try to acquire it for you. Our approach is that if it's made, we will locate the item because it's customers like you that makes our business better. Simply send us an e-mail with your inquiry. We will do our best to accommodate your needs. And, we will try to answer any questions you may have regarding our merchandise.When it comes to pet owners, we know how much their pets mean to them and in many cases, they are considered family.